Megafol contains a line of vitamins, amino acids and proteins, betaines and growth factors. 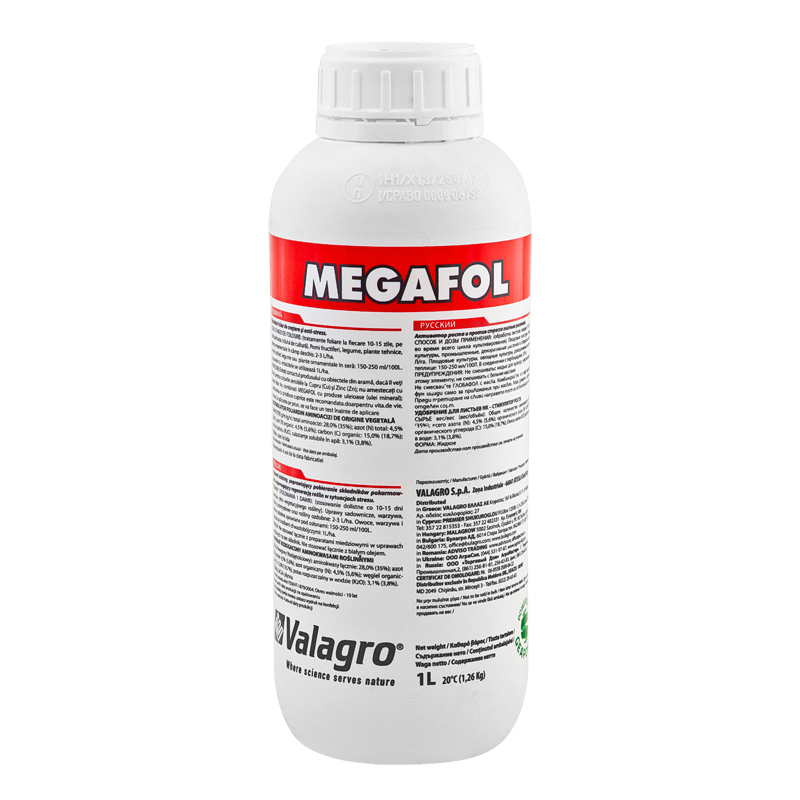 MEGAFOL®, applied regularly, promotes balanced vegetative development and productivity. When applied in times of stress (frost, root asphyxia, weeding, hail), its synergistic action of betaine and amino acids allows the plants to quickly and spectacularly overcome the stress and improve growth.